Dr. Kristin Lao completed an Honours Bachelor of Science degree at the University of Waterloo in 2008. She continued her studies there and gained her Doctorate of Optometry degree in 2012. During her training, Dr. Lao has had the opportunity to work alongside optometrists and ophthalmologists throughout North America, specifically in the areas of glaucoma, cataracts, diabetes and age-related macular degeneration. Dr. Lao has a strong interest in pediatrics, binocular vision disorders, and patients with reading difficulties. She is one of the first doctors in Canada to utilize ChromaGen filters for patients with dyslexia and colour deficiency. 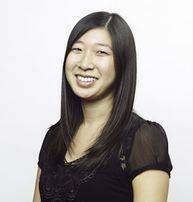 Dr. Lao grew up in Richmond Hill and first began to develop her passion for optometry during her yearly visits with her own optometrist. Receiving her first pair of glasses at the age of 11, she was amazed at how well she could see and how much she had been missing. Dr. Lao strives to provide all her patients with the same care, dedication and compassion that she was initially greeted with and that has drawn her to this profession. Outside the office, Dr. Lao enjoys experiencing different cultures and foods through travel. She often combines her love for optometry and travel by volunteering her time with international optometry organizations around the world. Dr. Lao has participated in eye care missions to Morocco, South Africa and Mexico, and hopes she can continue these adventures throughout her career.